My best friend just graduated from college with a degree in Civil Engineering, so we had a little party to help her celebrate her amazing accomplishment. She worked so hard to go to school, work, and raise 4 kids. She is so inspiring. We ended up having a little pool party with all of our kids, so we decided to let them all make their own pizzas. I cut the dough into individual sized pizzas and my husband grilled them. Just use you favorite store bought pizza dough or make you own. 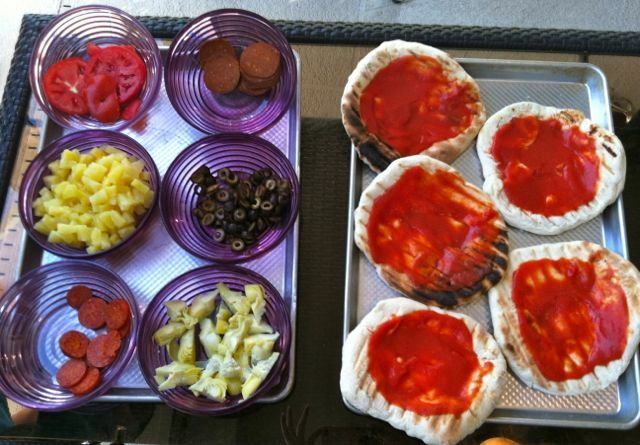 Then the kids put on all their favorite toppings and we put them bak on the grill to melt the cheese. On the side we had a huge fruit salad because all the kids are fruit fanatics. I tossed the fruit in a honey lime dressing, which gave it a little more sweetness and some tang. This is a great party idea, especially when you are serving vegans and non-vegans together. Everyone ends up happy! 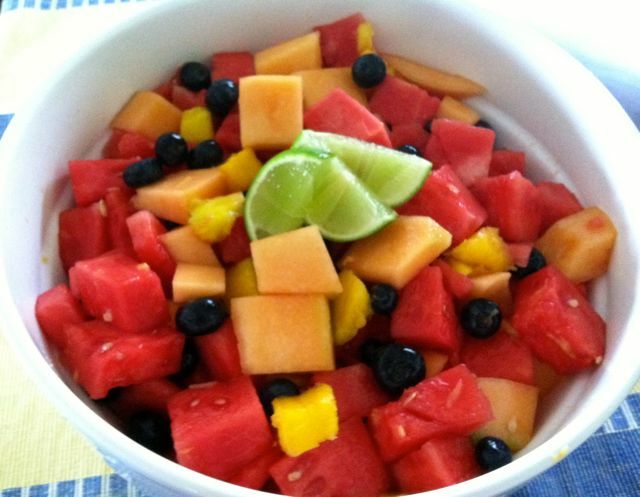 Cut all the fruit into bite sized pieces and place in a large serving bowl. In a small bowl mix together the lime juice and honey until it is well combined. Pour it over the fruit and toss to coat the fruit. Add in the mint if you are using it. Serve chilled.